An international scientific consensus has emerged that our world is getting warmer. Abundant data demonstrate that global climate was warmed during the past 150 years. The increase in temperature was not constant, but rather consisted of warming and cooling cycles at intervals of several decades. 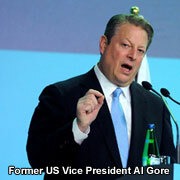 Nonetheless, the long-term trend is one of net global warming. Corresponding with this warming, alpine glaciers have been retreating, sea levels have risen, and climatic zones are shifting. The 20th century has been the warmest globally in the last 600 years. Most experts agree that average global temperatures could rise by 1 to 3.5 degrees Celsius over the next century. In Canada, this could mean an increase in annual mean temperatures in some regions of between 5 and 10 degrees. Climate change is more than a warming trend. Increasing temperatures will lead to changes in many aspects of weather, such as wind patterns, the amount and type of precipitation, and the types and frequency of severe weather events that may be expected to occur. Such climate change could have far-reaching and/or unpredictable environmental, social and economic consequences. Changing Climate.web.ca is a Manitoba Wildlands Blog that contains various types of information and links about climate change around the world. Posts can contain publications, events, websites, commentaries, articles and more. 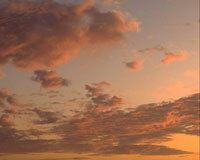 Naturally occurring GHGs include water vapour, carbon dioxide, methane, nitrous oxide and ozone. Certain human activities produce more of these gases and other activities can create GHGs that do not naturally occur. Carbon dioxide (CO2): An increasing amount of carbon dioxide is being released by the burning of fossil fuels (coal, oil, natural gas) for industrial purposes, transportation and the heating/cooling of buildings, as well as by deforestation. Methane (CH4): An increasing amount of methane is being released from landfills, wastewater treatment and certain agricultural practices, as well as from grazing livestock. Nitrous oxide (N2O): An increasing amount of nitrous oxide is being emitted into the atmosphere through the use of chemical fertilizers and the burning of fossil fuels. The three GHGs that are not naturally occurring, but which are included in the Kyoto Protocol are: hydrofluorocarbons (HFCs), perfluorocarbons (PFCs) and sulfur hexafluoride (SF6). These gases are generated in a variety of industrial processes. 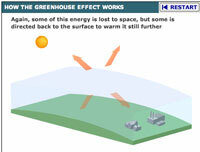 The greenhouse effect describes the role of the atmosphere in insulating the planet from heat loss. Small concentrations of GHGs within the atmosphere allow most of the sunlight to pass through the atmosphere to heat the planet. However, these same gases also absorb much of the outgoing heat energy radiated by the Earth itself, and return much of this energy back towards the surface. This keeps the Earth's surface much warmer than if the GHGs were absent. This natural process is referred to as the "greenhouse effect" because, in some respects, it resembles the role of glass in a greenhouse. Without these naturally occurring GHGs, including water vapour, carbon dioxide, methane and nitrous oxide, the average temperature of the Earth would drop from 14 degrees Celsius to minus 19 degrees Celsius and would be unsustainable for life on Earth. Since the Industrial Revolution, developed countries have produced increasing quantities of GHGs, due to the burning of fossil fuels such as coal, oil and natural gas to drive our vehicles, power our industries and heat and cool our homes. Other human activities, such as the clearing of land for agriculture and urban development and landfilling and other waste disposal methods, are also adding to the concentrations of GHGs in our atmosphere. As a result, concentrations of carbon dioxide in the atmosphere have increased by over 30 per cent since the Industrial Revolution. Concentrations of methane and nitrous oxide, which are also related to human activities, have increased by about 150 percent and 17 percent respectively during the same our atmosphere are enhancing the natural greenhouse effect, causing the Earth to become warmer. Much has been said and printed about global warming and climate change. We are providing a set of myths, to help our readers counter any ideologies. The Pembina Institute released a series of fact sheets outlining social, economic and biological impacts of climate change. These factsheets provide a current, straight forward approach to climate change issues. The factsheets are an excellent resource, and are available in both French and English. It is expected that Manitoba will be highly impacted by global warming and climate change. According to the Government of Canada climate change website, most climate change projections for Manitoba and the other prairie provinces show increased summer temperatures by 3 to 4°C, and increased winter temperatures by 5 to 8°C. Climate change models, including by Environment Canada, show greater temperature increases as you move north in Manitoba towards Hudson Bay. Manitoba's 18 herds of woodland caribou are at risk from changes to our forests and from human activity. Manitoba's woodland caribou have been listed as "Threatened" by COSEWIC since 2000. "Water: Increased spring volumes could also lead to higher levels of pollution, if land is flooded and manure and other storage facilities, such as municipal lagoons, are breached. If the spring water flows rapidly through to Hudson Bay, groundwater may not be recharged enough to fully replenish aquifers. Water quality in Manitoba may be in jeopardy because of warmer temperatures and lower volumes of rivers and lakes in the summer. As the volume of surface water decreases, pollution levels increase. Increased summer temperatures, together with reduced precipitation and higher evaporation, may reduce the amount of water available for Manitoba's hydroelectric production." "Agriculture: More frost-free days will mean a longer growing season and a greater range of crops available to producers. However, Manitoba farmers can expect to see declines in summer precipitation of 10 to 20 percent, creating a greater need for irrigation. As well, climate change could lead to increased heat stress on animals and plants. Warmer winters could reduce the amount of winter kill of fall-seeded crops, but could also reduce the winter kill of some weeds and insects, and lead to the introduction of new pests." "Weather Patterns: Extreme events, such as thunderstorms, tornadoes, hailstorms, heat waves and droughts, may become more frequent on the Prairies due to climate change. Warmer winters may increase the potential for more intense winter storms, and more frequent rain. In the summer, flooding may increase with heavy rains." "Forests: Manitoba's overall forest area is predicted to decrease as drier soil conditions in the south make forests more susceptible to wildfires and pests, and lack of suitable soil makes it difficult for southern species to grow in the north. As the climate changes, there will be fewer mature trees, and it will take longer for trees in the boreal forest to reach a harvestable age. Not only will this reduce the habitat of endangered species like the woodland caribou and grey fox, but it will also present challenges to the forest industry." "Polar Bears: In western Hudson Bay, ice break up is occurring two weeks earlier, on average, than it did 20 years ago. This shortens the time available for polar bears to fatten up on their main food source, ringed seals, before going on shore where they fast. As a result, adult bears have been getting lighter and females that fast until weaning their cubs the next spring are having fewer cubs." "Aboriginal Communities: Climate change will affect the traditional economies of Aboriginal peoples, including their ability to hunt and fish. Warmer air temperatures will thaw permafrost, creating unstable ground conditions and putting building foundations, roadways, railways, and pipelines at risk. Challenges are already being faced by communities dependent on winter roads for food, fuel and essential supplies." Visit Global Warming and Terrestrial Biodiversity Decline from World Wildlife Fund Canada for more detail regarding climate change impacts in Manitoba and other regions of Canada.